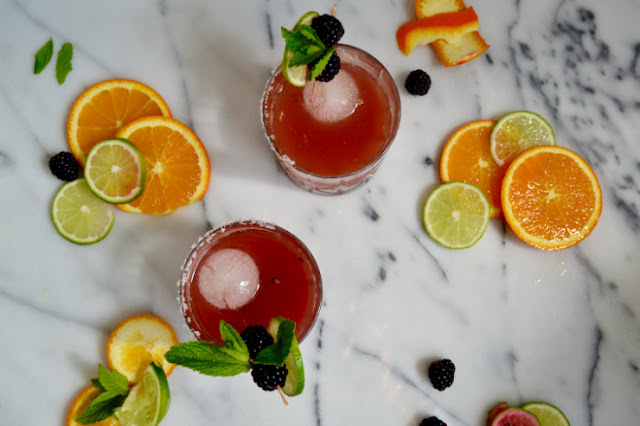 With Cinco de Mayo coming up this Friday, I thought it would be fun to share a cocktail recipe with you today. That will give you a few more days to gather ingredients and whip these up over the weekend. I don't drink hard alcohol very often, I'm more of a beer and wine girl myself. 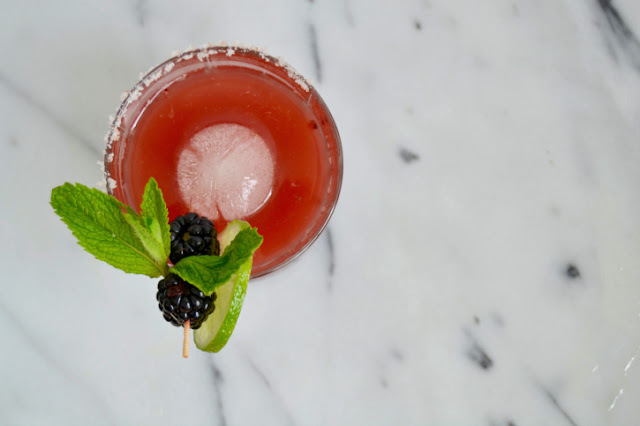 But in the summer I do enjoy a good margarita on a warm day. I think because it reminds me of vacation, and who doesn't love that?! 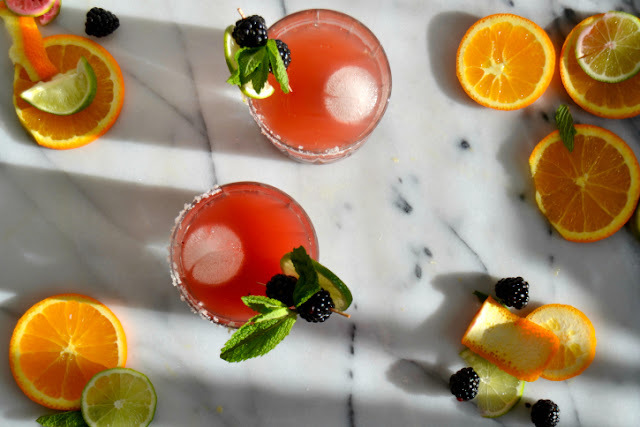 I'm no mixologist, but I thought it would be fun to get my creative juices flowing and try my best to create a fun tequila cocktail to share with our friends this weekend. 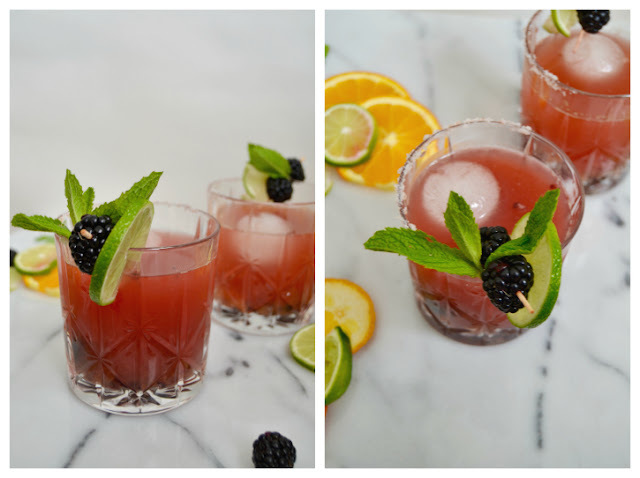 I love drinks that incorporate fresh fruit, so I thought muddled blackberries and lime would be a good place to start. Throw in some fresh squeezed orange juice, simple syrup and tequila and you've got a pretty refreshing cocktail! I had planned to muddle mint with the blackberries, but forgot, whoops. And then it tasted so good, I didn't want to fuss the recipe so mint garnish it was! Muddle blackberries in a cocktail shaker. Add orange juice, tequila, simple syrup and lime juice. Shake with ice until mixture starts to get frothy, about 10 seconds. Strain into a rocks glass filled with ice. Garnish with a salted rim, blackberries, mint & lime wedge. I hope you all enjoy, cheers! Winter Travel Guide to Whistler B.C.